Here’s a simple way to remove duplicate lines of data within Sublime Text 3. This is a common practice with creating look up tables and needing to narrow down the few unique data lines from a large batch of data. Bear in mind that this will only be useful with a single column of data. Multiple columns will not operate correctly. Select the data set where duplicates exist (or is expected to exist). If a selection doesn’t exist it’ll run through the entire file. jQuery has built in functions designed to add and remove a CSS class or multiple CSS classes from selected elements (selectors). .addClass() – Adds the specified class(es) to each of the set of matched elements. The function simply adds the class, appending it to any which may already be assigned to the elements. More than one class may be added at a time to the set of matched elements. Each parameter must separated by a space. It is important to note that these classes will not replace existing classes. If you wish to replace the existing style you can first use the .removeClass() function or use the .attr(“class”,”newClass”) function instead. .removeClass() – Remove a single class, multiple classes, or all classes from each element in the set of matched elements. If no class names are specified in the parameter, all classes will be removed. If a class name is included as a parameter, then only that class will be removed from the set of matched elements. Both these functions can be used together in the same line as well. This resulting code would remove newClass1 and newClass2 as well as add newClass3. These functions can be used with any selected element where style is valid. With today’s growing internet market the need for quick web solutions is greater than ever. As WordPress becomes the staple web software for a huge majority of websites, the theme development market has grown to leave behind the basics to provide HUGE potential with bigger and better theme capabilities. It is our goal to help sift through this engorged theme market to help bring you the themes you want to use on your next web project. 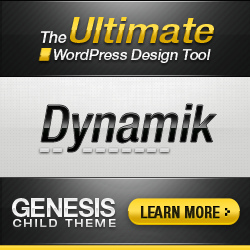 The themes posted on this site are themes we believe will give you the best bang for your buck. We will continue to bring a list of themes on a regular basis the will lighten your workload and improve your WordPress development. We aim to help take the development curve to a lower level thus allowing you to raise your content and monetization efforts. We hope you enjoy the list provided. Have a theme you think needs to be added post in the comments and we’ll take a look.